It is often said that the key to finding the right office space is “location location location” – but at what cost? 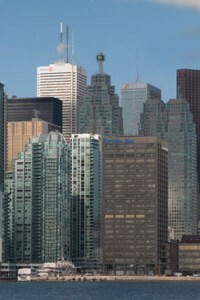 The right office space Toronto location can make or break a business. That downtown office space in the core of the financial district may not only cost your business a lot of money, it could cost your business customers as well. It is not easy achieving balance between the prime location, affordability and staying within your customers’ expectations. But it is crucial to take the time to find the right office space that fits your business. Being at a prestigious office for rent Toronto business address is always important; it tells your customers that you are serious about business. It is important to find the best address that gives your business that prestige – but be wary of taking an office address that may intimidate your potential customers. For some clients, seeing a company in a more prestigious (and perceived expensive) office space Toronto location, may make them wonder if your prices are too high to subsidize your high-profile office space for lease location. Here are some other considerations when choosing a new location for your company’s office space Toronto. The first is the geographical location. How close to the core do you want your Toronto office space? How easy are the premises to commute to? Is the location accessible by public transit? What are the amenities of the nearby area? Is there parking near your office for rent Toronto? Better still, is there reasonably priced parking available? Secondly, you have to consider the financial implications of your Toronto office space location. Is the rent or lease rate in that location in line with your Toronto office space budget? What length of term must you sign for that office space for lease Toronto? What are the business real estate taxes compared to other nearby locations? Thirdly, you have to consider the physical property. Has the office building had any recent upgrades or renovations? Is the building wired for high-speed internet? Is the building secure? Is there a live person at the front reception desk? If so, what are the customer services? Is there 24-hour access seven days a week? Is there room to expand your office space? Lastly, make sure the location and office space Toronto you are looking for are a comfortable fit for you, your business and your employees.